Promain are the UK's leading supplier of damp proof paints and coatings, offering a wide range of damp proofing paint to help you protect your home against damp. Regardless of what time of year it is, we regularly receive calls from people asking us for the best product to damp proof the basement or damp proof additional areas within their home. Because of this, we have made it our business to supply the highest quality of paints for damp and wet walls. A water based crystallization product formulated to block moisture transmission in concrete and masonry structures. Osmotic cementitious mortar suitable for contact with drinking water, for waterproofing masonry and concrete structures. Especially used for hydrophobizing impregnation of porous, mineral building materials. For waterproofing and refurbishing old and new buildings in the Remmers Kiesol system. With the various paint options from industry leading suppliers, such as Rustoleum, Zinsser & Classidur, the choice can sometimes be a difficult one, although each of these brands holds their own key quality. 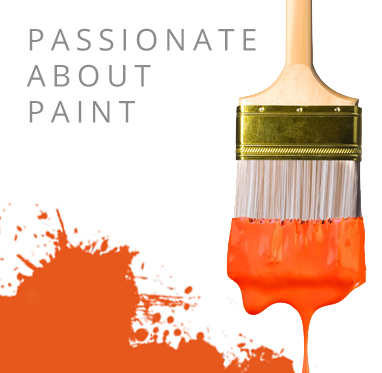 We have been in the paint industry for decades and are perfectly positioned to direct you to the best product when it comes to damp proof paints and coatings as we have seen the pitfalls of using the wrong or inferior product. Getting this job done right is never going to be an easy task, yet with all of our products we keep application simple and effective every time, making this time consuming task ever simpler. Should you be suffering from wet or damp walls we often advise customers to purchase Rustoleum Durbocem or the Zinsser Watertite coatings. However, should you be working with historic buildings such as churches, our guidance would almost always point you in the direction of our Classidur Tradition range. When it comes to damp proofing your home, there is lots to consider. First of all, the products we sell here WON'T fix your damp problem; you will need to discover the source of the problem and resolve that first. One you have resolved the damp issue, you can use damp proof paint to prevent further damage and cover up stains, using a breathable coating that will allow moisture to escape through the surface, without leaving a stain behind. We offer a wide range of damp proof paints, suitable for damp proofing both internal and external walls. To find out the best damp proof paint to suit your needs, feel free to get in touch and speak to the Promain technical department regarding your needs. We will gladly point you in the right direction and talk to you about application procedures.